Heavy duty ratchet straps are the essential tool and accessory that can be used to load and unload weighty items in a truck or any other vehicle. In fact, this useful equipment is used by the people for securing the heavy objects and maintains its safety during the time of loading in the car, van or truck. 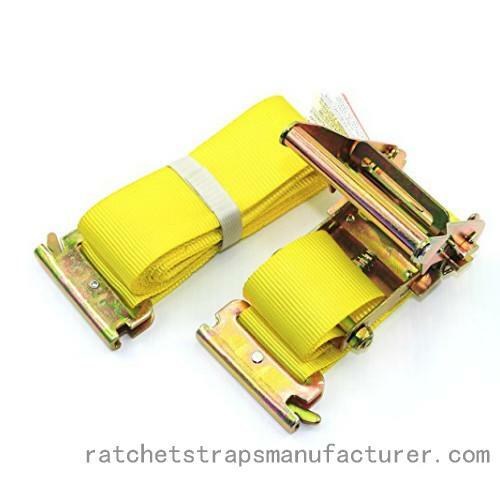 Of course, these ratchet straps are available in the variety of lengths and widths. These kinds of the straps are normally used in the moving trucks, interior van trailers, flatbed trailers and more. The heavy duty ratchet straps are manufactured by the variety of the reliable companies and therefore, you can choose the best one for buying. As well as, they are also offered in the different sizes and patterns. When you have used this strap for your cargo transportation, you can get a large number of features. Heavy duty ratchet straps are normally made up of the durable materials to withstand the weight of any object. Of course, these straps are also useful at the time of shifting the things from one location to another. Heavy duty ratchet straps are available with the variety of hooks for handling and they are like as follows. Each of the type of the strap is designed to bear a certain limit of the weight and therefore, you have to know for using. In some cases, the chain feature is also attached with the straps which can help you to move the objects in the most effective manner. In this way, heavy duty ratchet straps are used for variety of purposes.